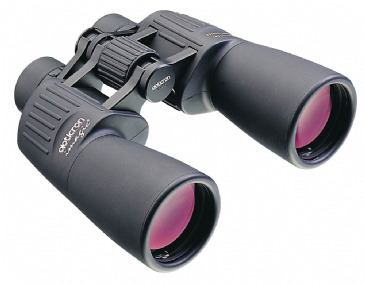 Speak to the UK's friendly experts about binoculars suitable for Astronomy and observational use. 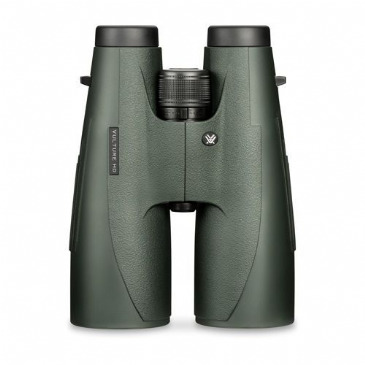 We have a huge range with demonstration models available to try in store too. 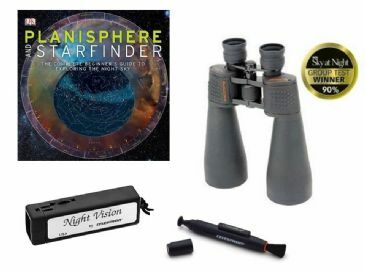 Whilst all binoculars can be used for viewing the night skies, those with larger objective lenses will have a distinct advantage when it comes to observing fainter objects such as galaxies and nebulae. 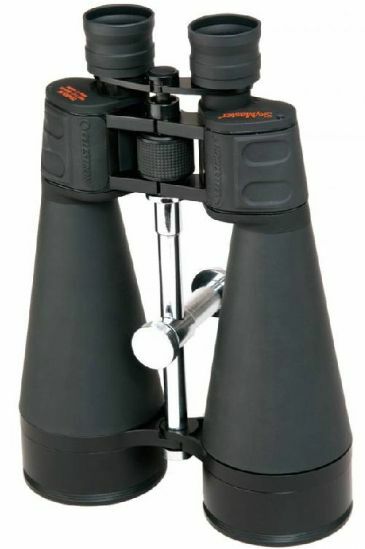 Simply put, the larger the objective lens the more light you can gather, and the more light you can gather you more you will be able to see in the night sky. 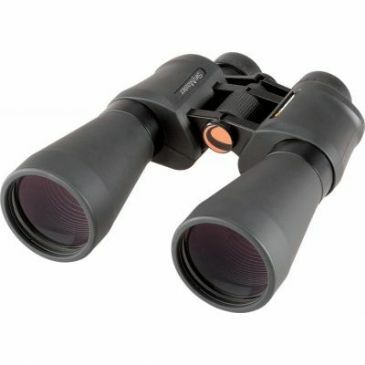 This however has to be balanced from a practicality point of view as larger binoculars become difficult to hand hold making use with a tripod essential. 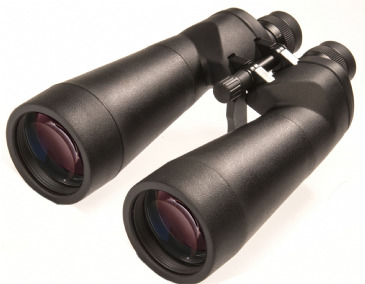 We consider objective lens sizes ranging from 50mm to 100mm to be suitable for Astronomy and as a general rule of thumb 70mm tends to be the size where most people can hand hold for a short period of time before needing a tripod. 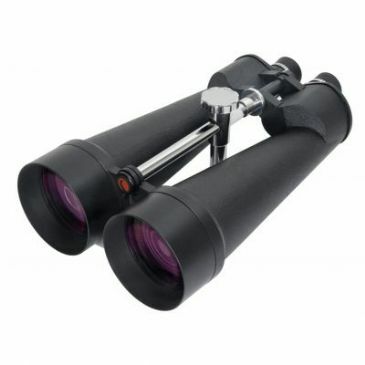 You should try before you buy though as this can vary from person to person, and the magnification is also a factor. 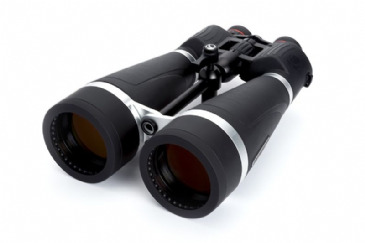 In addition to the size of the objective you need to consider the magnification. 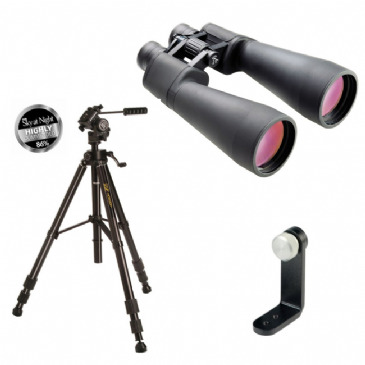 Choices typically range from 7x through to around 20x with higher powers available in the larger specialised setups. 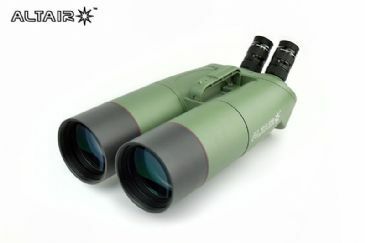 Lower power gives you a wider field of view and is easier to hand hold, high power will tend to need a tripod to avoid amplifying the effect of hand shake. 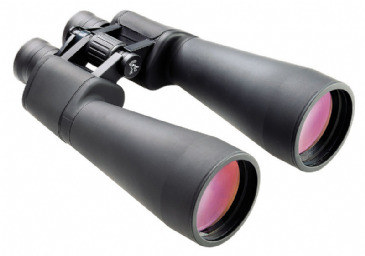 Be wary that high power sometimes comes at the cost of sharpness particularly at the lower price points. 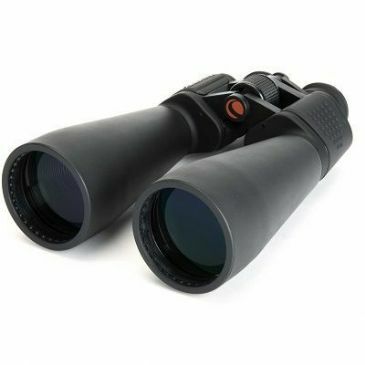 The most popular size we sell are 10x50 as these can most commonly be hand held and also used as a general purpose daytime binocular. 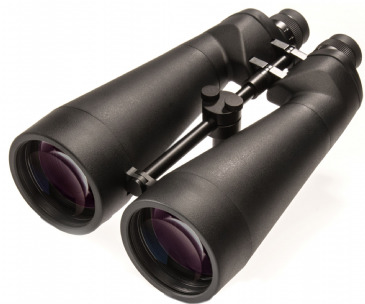 They are great for sweeping across the sky. 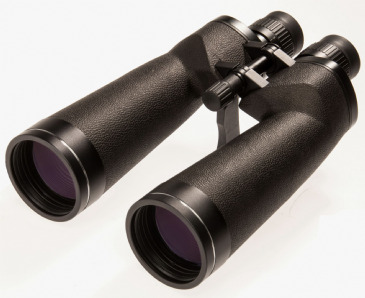 15x70 are also very popular and are often tripod mounted to make the most of the additional magnification and larger 20x80 and above are almost exclusively used on tripods. 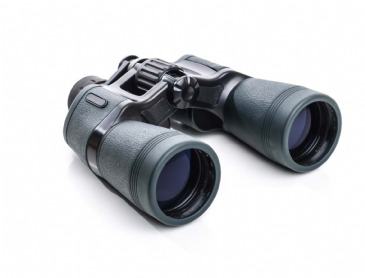 As with all binoculars it is best to try before you buy so you are always welcome to call into our showroom to see and try a range of binoculars suitable for astronomy, but in the meantime you can browse below some of the most popular choices below. 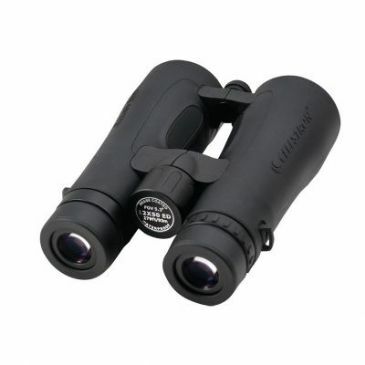 For astronomy, high power nature viewing, or coastal observation, we cannot find a better price/performance ratio 100mm binocular. 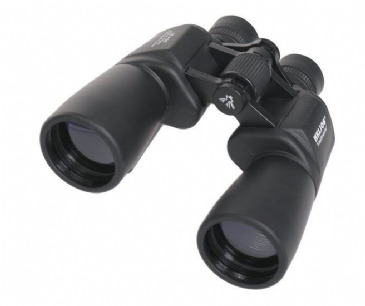 This high quality doublet ED Semi-Apo Binocular offers you a high contrast. 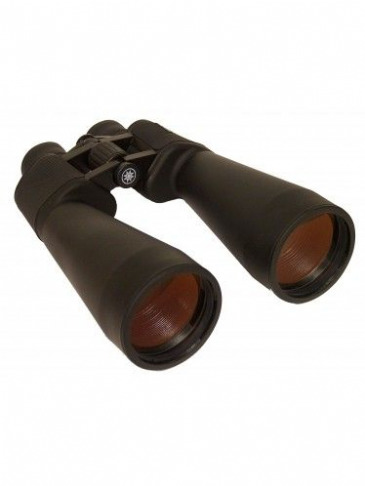 This excellent highly corrected 2-lens (rear lens Ohara FPL 53 SD) air spaced Special Dispersion APO binocular provides extremely high contrast. 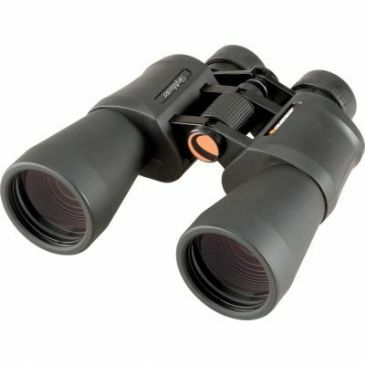 Last Pair at this price! 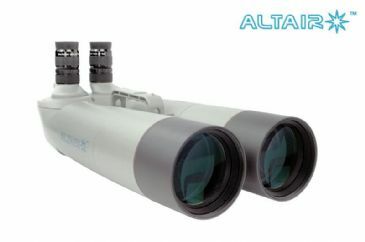 Special Offer - While Stocks Last! 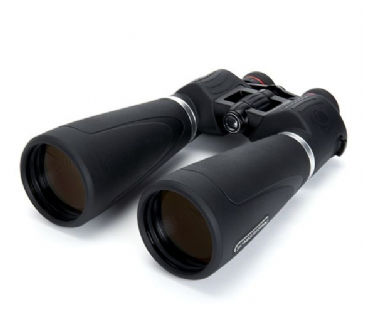 Amazing widefield binoculars - available from showroom stock! 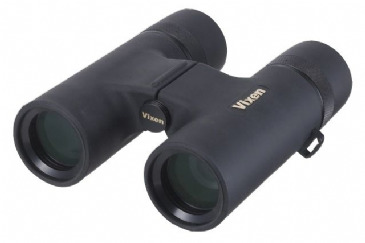 Check out the latest New Binoculars from Vixen - Available to Try in Store! 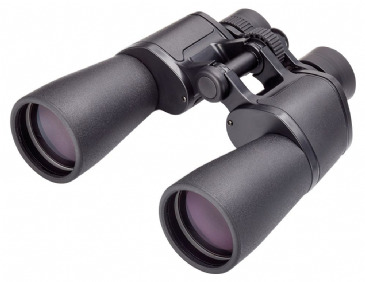 The Ultimate Vortex Long Distance Viewing Binocular. 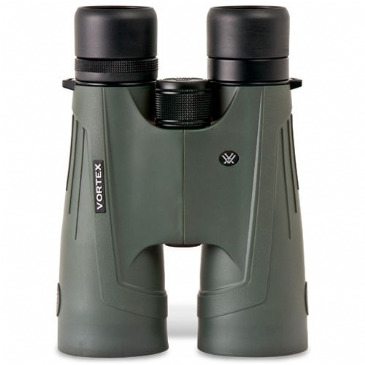 The Vortex Vulture's Big 56mm objective lenses coupled with HD glass and superior lens coating makes for great light transmission and excellent low-light performance.